When I asked her where she had learned these doubts, she explained that her father was a critical editor, and as a child she grew hesitant to make any statements about herself, since he might put her down for not being perfect or expressing herself impeccably. During our coaching session she realized that she needed to communicate with her father and heal their relationship. After making significant progress in our session, her last words were, “It wasn’t about the website at all, was it?” It never is. It’s always about your thoughts, fears, and visions about presenting yourself to the world. A website or any new profession, relationship, or step ahead in life is an excellent projective test for where your consciousness lives at the moment. Since life is more about what’s going on inside you rather than what’s going on outside, the best use of outside is to shine light on the inside, so you can progress in your soul’s journey. I thanked her for her honesty and then asked her if she would consider simply making the choice to not be with a man for now without needing to use the weight as a protective mechanism. She liked that idea and we explored ways she could claim her power and her choices by making clear statements. The conversation ended on a high note. So the weight was not the problem. It was the symptom. More deeply it was a directional signal to look deeper. In my life coach training program I teach the students to distinguish between presenting issues and core issues. The issue presented is rarely the one that needs to be addressed. If you are having trouble moving chess pieces around the playing board, it’s because there are magnets under the table holding the pieces in place or moving them to undesirable places. When you look under the table and see the hand that is holding the magnet - and recognize it to be your own - you are free to move the pieces where you would. Life seems to be one thing, when it is really another. Yet we can use appearances, especially troubling ones, to follow the trail of bread crumbs to the source of causation, which is always mind, belief, attitude, and expectation. Building a website is the new Rorschach projective test. Ink blots have given way to pixels. I sometimes fantasize about developing a coaching practice in which I ask clients to build a website, and then process with them what comes up along the way. You don’t need to build a website to face your fears and limiting beliefs, as well as your courage and your glorious visions. Every day at work, every relationship, every time you look in the mirror, every time you look at your bank balance, you have a golden opportunity to pierce to the jewel in the lotus. Every moment in your earthly journey is an expression of your consciousness. We are not here to manipulate events. We are here to elevate consciousness. When we do so, the events of our lives flow naturally and well. Then all of our daily activities become fuel for spiritual growth, and we are well on our way to mastery. 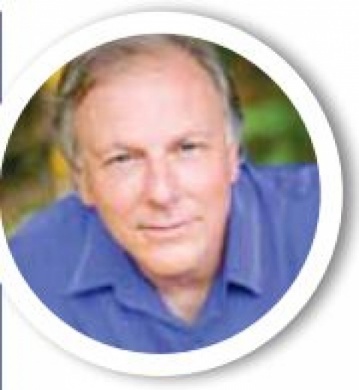 Alan Cohen is the author of many inspirational books, including I Had it All the Time. Join Alan’s Life Coach Training Program, beginning September 1, to become a professional life coach or incorporate life coaching skills in your career or personal life. For more information about this program, Alan’s Hawaii retreat, books, free daily inspirational quotes, and his weekly radio show, visit www. alancohen.com.